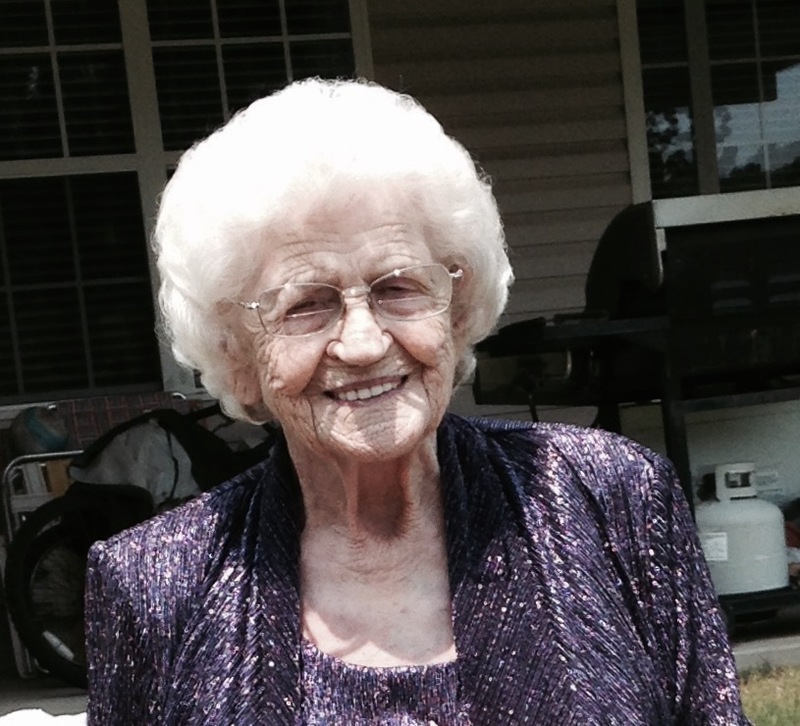 Rena Gartland Obituary - Newport, Arkansas | Jackson's Funeral Homes Inc.
Mrs. Rena (Odom) Leo Gartland of Bryant, Arkansas, formerly of Newport, departed this life on Tuesday, January 1, 2019 at the age of 99. She was born November 24, 1919 in Newport, the 12th child of Orange Eaton and Viola Pearl (Wilkins) Odom. She was baptized at the Sand Hill Church at Auvergne, and was a faithful member of the Barrow Road Church of Christ until her health caused her to be unable to attend services. Rena married Dr. Robert A. Leo in 1937. Together, they raised 4 children until Dr. Leo’s death. Rena worked and kept her family together as a single mother until 1969, when she married Mr. Robert John Gartland. She loved to sew and crochet. She made many, many afghans and other items for her family. One of the favorite items she made was a pillow with a doggie on the front for each grandchild. Rena also loved to camp and to travel. She enjoyed many trips to visit her family wherever they lived. She was an avid and competitive card player. In later years, she loved to go to the community center in Bryant, and enjoy the music and the friends she made there. Rena loved her family more than anything. She was a very loving person who expected goodness from all her family and friends. Rena set high standards, and lived her life fully. She was brave. She was strong. She was fun to be around, and she will be missed by everyone who knew her. Mrs. Gartland was preceded in death by her first husband, Dr. Robert A. Leo; her second husband, Robert Gartland; one son, Billy Dale Leo; one daughter, Dorothy Leo Hulett Sills; two grandsons, Daniel Brien Leo and Billy Dale Leo, Jr.; eight brothers, Claudie, Jim, Leonard, Tom, Artie, Johnny, Marvin, and Ollie Odom; and three sisters, Mary Elizabeth Odom, Bessie Odom Cooper, and Pearl Odom Hickman. She is survived by her son, Robert D. Leo and wife, Ruth of Bryant, Arkansas; her daughter, Carmelita Leo Willis and husband, Larry, of Cave City, Arkansas; ten grandchildren, Debbie Leo Robberts of Ward, George Hulett, Jr (Gale) of Morrilton, Cheryl Hulett Dennis (Phil) of Bartlett, Tennessee, Donna Hulett Brantley (Bruce) of Conway, Robert Leo, Jr., (Deanna) of California, Kenneth Leo (Brenda) of Alaska, Regina Leo Morris of Jessieville, Arkansas, Larry Willis (Brenda), Danny Willis, and Lisa Willis Wilhite (Mark) of Cave City. Rena also leaves behind 25 great-grandchildren, Fallon, Joshua, Lindsey (Ryan), Kristen (Robin), Bryan (Sondra), Melissa (Austin), Rachel (Jesse), Charlie, Bo (Ashley), Brad (Shanna), Heather (Ethan), Sarah, Corey (Kayla), Justis (Blake), Adam, Taylor (Jeff), Samuel, Daniel, Peyton, Zak Matthew, Tyler, Cheyenne, Aiden, and Dakota; twenty-five great-great grandchildren, Peyton, Sterling, Nora, Alexis, Brianna, Joshua, Ashlynn, Isaac, Jake, Savannah, Ellie, Lorelai, Jude, Dorothy, Jersey, Jaxon, Chance, Charlee, Brody, Finn, Kayden, Willow, Wyatt, Cru, and two on the way. Rena had a large “Blended” family, and leaves many “step” grandchildren, great-grandchildren, and great grandchildren, including Nancy Bright and her family, and Allie Patricia Hulett and her family. She also leaves many beloved relatives and friends. Friends may visit at the funeral home, Friday, 5:00-7:00 p.m. Funeral services are 11:00 a.m. Saturday, at Jackson’s Newport Funeral Home Chapel with her grandson, Mr. George Hulett, Jr., officiating. Interment will be in Sandhill Cemetery. Those honored to serve as pallbearers are grandsons and great-grandsons, Phillip Dennis, Daniel Willis, Daniel Morris, Charlie Dennis, Steven Atchley, Bryan Hulett, Austin Miller, Corey Willis, Larry Willis, Peyton Morris, Bo Brantley, Bruce Brantley, and Jesse Cox.